Now in full colour, this is the second edition of this highly acclaimed book. Woodland Management is essential reading for anyone with an interest in trees and woodlands, whether they simply enjoy walking in the woods, are considering buying woodland, or wish to gain a greater understanding of the history and management of Britain's woodland. 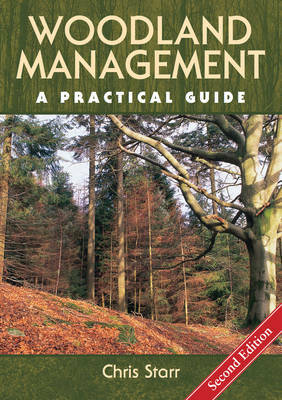 The book begins with a look at how our woodlands have developed and a discussion of the different types of woodland, and then explores, in a non-technical way, all aspects of management. It considers: broadleaf and conifer woodlands; factors influencing the choice of tree species; surveying and mapping; the seasonal cycle and the operations that occur at different times of the year; conservation and biodiversity; planting new woodland; natural regeneration; coppicing; the types of site; ground preparation; protecting ancient trees; growing trees for timber; thinning and felling; methods of selling timber; generating revenue from timber production and other sources; the factors involved in buying and owning woodlands; where to find grants; how to write a management plan; who to contact for further information; and much more. 192 pages, 86 colour photos, 37 illustrations.